Menorrhagia is excess menstrual bleeding. The menstrual period may be prolonged and bleeding or spotting may occur between periods as well. It is usually due to high Pitta that aggravates the blood. Chanderprabha Vati: 2 tablets twice daily before meals. Female Health Support: 1 capsule twice daily. Pradarantak Churna:one tblspoon twice daily with plain water. Shatavari Powder:2 teaspoons mixed with milk twice a day. Causes include overeating of hot, spicy, sour and salty foods, smoking or drinking, unresolved anger, resentment or hostility. The various causes of menorrhagia are hormonal imbalance, PCOD (poly cystic ovarian disease), too much of stress, improper diet, hectic life schedule especially during periods, fibroids, thyroid conditions etc. this condition can also be caused by abortions, incomplete miscarriages, cervical erosion, endometriosis, polyps and tumors. IUD contraceptives can bring it about, as well as birth control pills. It can indicate infection and sometimes even cancer and should be examined carefully. An anti-Pitta diet is required with avoidance of all hot and oily food. The patient should be kept cool and should avoid exercise and exposure to heat and sun. During bleeding an ice pack can be applied to the lower abdomen. Astringent and haemostatic herbs should be given, such as red raspberry or Manjishta. If the condition has persisted for some time, tonics should be given as well. Once the bleeding is over, take tonic like Amla Saar, Shatavari as per treatment of anemia. Important Ayurvedic herbs include Ashoka, Lodhra, Ashwagandha, Shatavari, Kumari Saar, Amla Saar, and Bhrngaraj. Ashokarishta is also useful to treat such conditions. Female health support is useful in treating all types of menstrual disorders and regulating the menstrual flow. 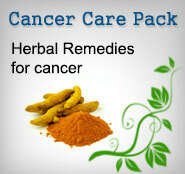 It helps in relieving the symptoms or complications during menstruation and serves as a Tonic for the Female Health. It is also useful for controlling the excess menstrual flow. Chanderprabha Vati is an excellent remedy for female health. 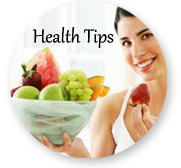 It is useful in balancing the hormonal levels. It serves various purposes and supports the female reproductive system.